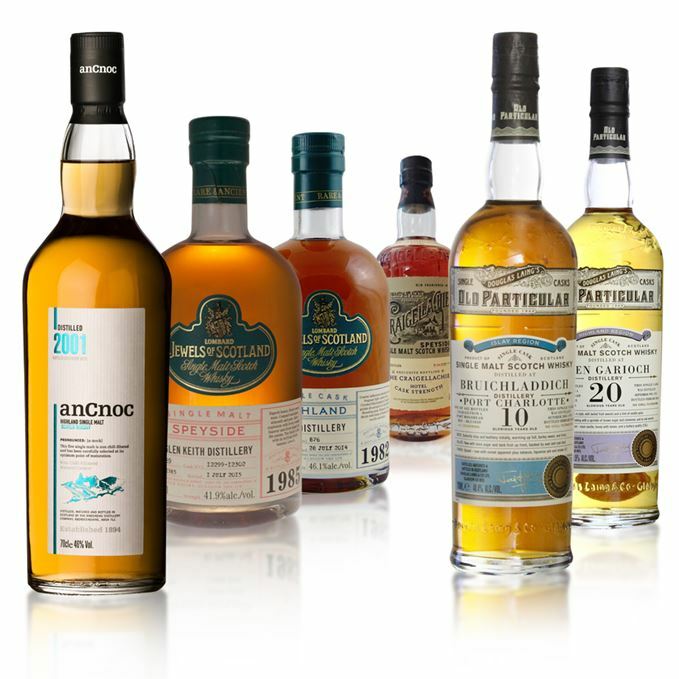 A cracking batch of single malts this week, with an average score above eight out of 10. 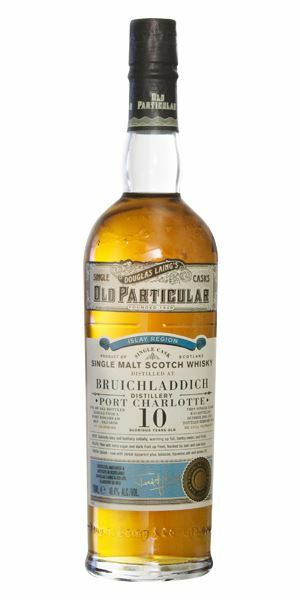 Indies feature strongly – Lombard Brands brings us a venerable Brora and a ‘revelatory’ Glen Keith, while from Douglas Laing we have a malty Glen Garioch and a double-edged Port Charlotte. 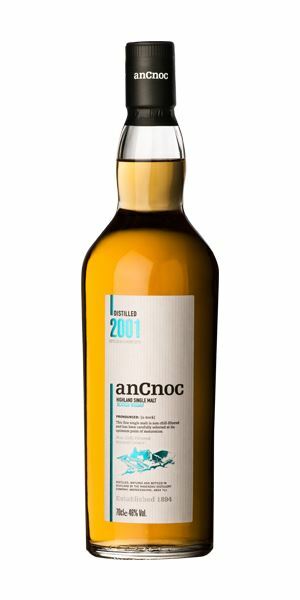 There’s also a new vintage offering from anCnoc and a Craigellachie Hotel exclusive. Quite a bold opening for this usually discreet distillery: all warm apple pie, hot gorse, cane syrup and red cherries, which broadens into elderflower cordial, a carrot-like sweetness, then freshly-baked white bread. With water, there’s more of a lemon barley water note with a tiny meaty/leather thing in the background. Fragrant and sweet. Very soft and quite thick, with a palate-coating texture, a solid and quite fruity middle with prickles of clean acidity. Be careful with the water though, as you want that weight. 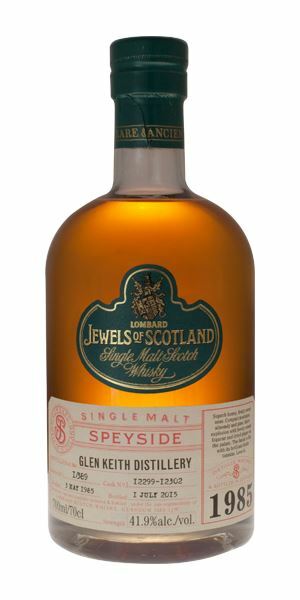 A charming summery dram brimming with distillery character, but more weight than usual. Recommended. Lying on the grass, eyes blurring, the drone of bees. Like this. Buy the record. A big and robustly elegant Brora, this is like pulling on a new woollen jumper for the first time. There’s some grassiness and the oiliness of maturity (and the distillery), yet it still has some lemon leaf lift and the sweet note of turned, humid earth. A fascinating and classic Brora nose. Slightly startling on opening, with a saline quality that then softens into those oils, more orange peel, some black olive, dark fruits. The tannins are fine-grained. Things move slowly and there’s just an impression of slight tiredness. A whisky which is at that point when all of the giddy prettiness of youth is beginning to decay and become infinitely more interesting. Margaret Dumont, having escaped the clutches of the Duke of Sutherland at Dunrobin Castle, is found communing with a sheep on the beach at Brora. Robust, yet sensual, this is the Craig in its mellowest guise, throwing out those typically contradictory aromas of fruits (roast pineapple), flowers (orchid house) and oils – highly polished wood, gun oil and moustache wax. Quite Cognac-esque, with a hint of smoke. Big and quite hot to start, therefore there’s a certain fizziness before it slows in the mid-palate, with a whiff of just-lit cigar and powerful oxidised notes. Matters become waxier with water, but there’s also a creamy element and some cut lilies, as well as the oak. It does have a slightly alarming louche*. Rounded and soft and very approachable. 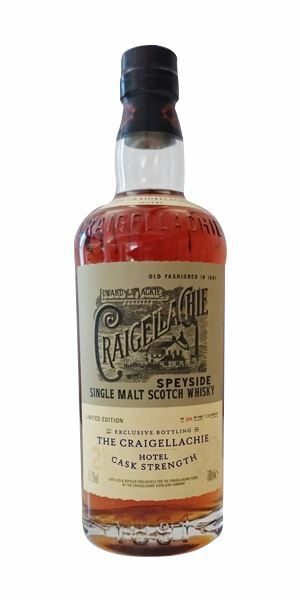 Hie thee to the Craigellachie Hotel, where it’s £28.50 a nip! Sitting in the Quaich Bar yarning with Charlie MacLean, his moustache freshly groomed. He’s buying, so I’ll have a double. Although slightly closed when neat, you can still detect the broad distillery character, with this nibble of nuttiness at the back behind ripe Comice pear and a slightly singed edge. With water there’s (slightly) more in terms of mealy pudding and fruits. The palate is soft with more of that suet character, which helps to stick it to the tongue. 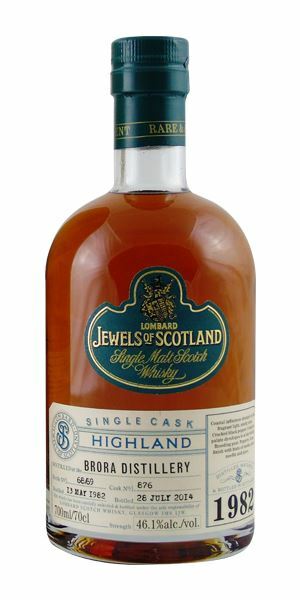 A quiet sort of a dram with surprising heat at the end. Water gives things a little more life, but also pulls out dry oak. Soft and, though slightly distant, it’s very pleasant. A late breakfast in an old pub. When you breathe, the chair squeaks. An immediate note of cherry stone, Luxardo maraschino and then dry grass, green apples and some pear drop. Give it a moment and a gentle, mature elegance begins to develop alongside a hint of old cellar and tinned bamboo shoots. With water, there’s a little more oak, a lick of fresh varnish, ripe banana and wood. A light, fresh start belying its age. 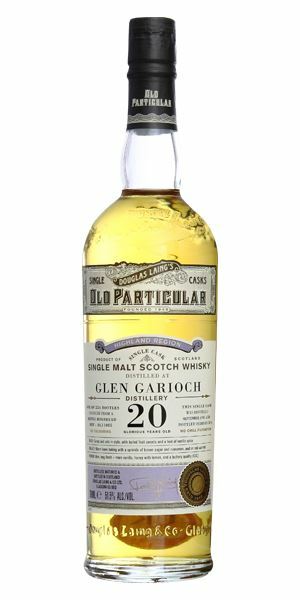 It remains grassy and but then that mature silkiness develops, while never losing typical Glen Keith energy which comes in maybe just a little suddenly (but I’m being really picky). I’d steer away from the water if I were you. A lovely – and revelatory – dram. Sitting in a park in Toledo eating marzipan sweets. The colour of an orange-pink dawn, this manages to be both very PC but also to have a honeyed quality like peaches in thick syrup, with woodsmoke drifting in behind. It begins to dry and become more turfy, along with jags of orange sherbet and flat Lucozade. In time there is an earthy note, then a flower stall. Really lovely stuff. Water brings the smoke right forward. Hot embers to start with, then immediately shifts to tarte tatin, peppermint, basil and a steadily building ginger element with the smoke always lingering in the background. When diluted there’s violet but considerably more smoke – smouldering campfire. It’s up to you which way to go. Add water if you want smoke, leave alone if you want things sweeter. Two whiskies for the price of one. What’s not to like? Marked in its competitive set. Smoking a beehive (there they are again) to get at the honey. Batch 38 22/04/2016 A malts tour stopping at Bunnahabhain, Kilchoman, Dailuaine, Glen Moray, Lochside and Teaninich. Batch 36 08/04/2016 Two 50-year-olds from Glenfarclas and Last Drop, plus three Singleton of Glendullans and The Trojan.